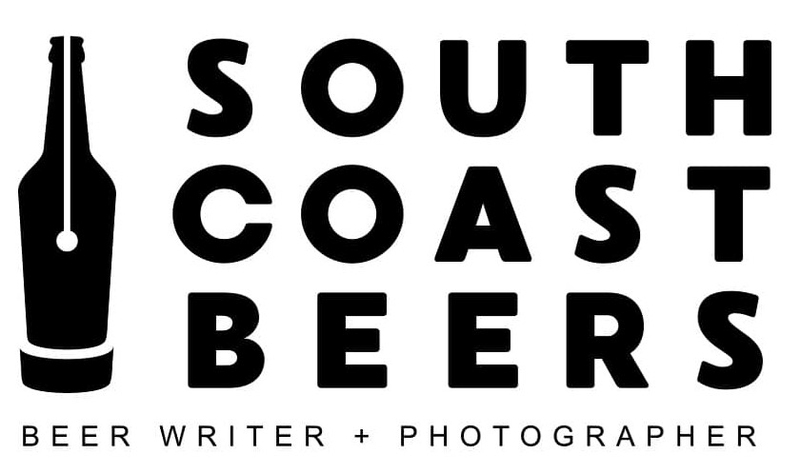 Well South Coast Beers is taking a break. 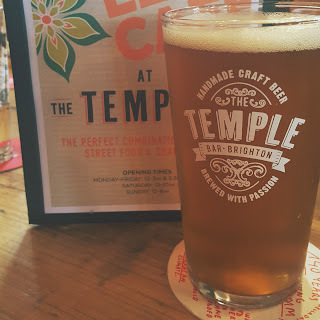 When I started this blog in August 2016 it was a way to record and wax lyrical about my relatively new found love for craft beer. In those early days it was a platform that also included my passion for weight training but that element soon fell away as the call of the hops became stronger. And this was reflected in my waist band and weight on the scale, as both steadily increased. That was until May 2017 when I joined my local Slimming World club and with the help of my amazing other half (also a member of said slimming club) I not only reached my target weight (losing almost four stone) but have now maintained it for over six months. 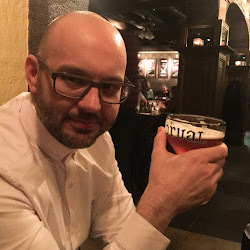 Now anyone can look at my blog or social media accounts and see that I've not been avoiding beer whilst I've been losing (and then maintaining) weight, but it's not been without it's challenges. For example there have been many many days where I've had to make a choice between drinking a beer or having some other food related treat. But how did I choose which to have? Well that question is a fundamental aspect of why I'm taking a break from this blog. It has become a chore... an obligation... an almost constant background voice of "you haven't written a blog post this month, you need to go to a local craft beer venue so that you can write a review" or " you haven't posted a picture on Instagram for two days, you need to drink a beer so that you can photograph it." 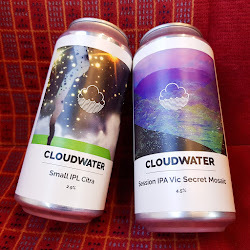 I was no longer drinking these amazing craft beers because I enjoyed them, I was drinking them because I thought I needed to. The tipping point was last week when my fiancée, who is not much of a drinker, mentioned that she'd like to go out to try a few of the flavoured gins that have become so popular. My response was not "brilliant, I love gin, lets go!" It was "sounds good, but let's make sure they sell good beer so that I can get a photograph for Instagram." I found myself wondering how my priorities had become so skewed. This blog has been an amazing project for me; it has helped to foster a passion for photography that I knew I already possessed but had never really nurtured. More than that, it has rekindled a love of writing that I'd allowed to lay dormant since my days of A-level English language (I've even recently written some poetry!). But for the last few months, beer has just become less important to me. I'd felt it for a while but had chosen to ignore it. Surely it was just a phase... a temporary funk that would soon lift? Things became a little clearer after watching the Netflix documentary Minimalism. Don't worry I'm not going to start preaching about the horrors of greed and consumerism, but it did help me to recognise the benefits of focussing time and energy on whatever gives you joy. Right now, that is not photographing and writing about beer. So I'm putting this blog and the related social media accounts to one side for a while... I don't know for how long, or even if I'll come back to them. I'm certainly not giving up beer, or any other alcoholic drink for that matter. But I am going to concentrate on spending time exploring other interests and hobbies, seeking joy instead of seeking social media likes and followers in an attempt to seek some form of validation. I'm going to be maintaining one Instagram account but I will not be worrying about engagement numbers, consistent content or maintaining a recognisable theme. It will simply be a place to record photographic memories of my efforts to live a more intentional life.... it may even include the occasional craft beer! 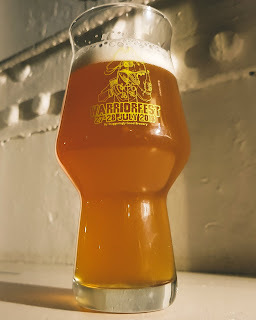 Anyone who read my review of last year's Warriorfest, or indeed my recent blog post about surviving a craft beer festival, will understand why self preservation was at the fore front of my mind as I approached this weekend. 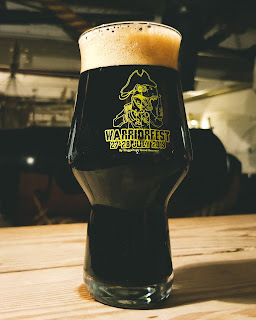 Warriorfest 2017 was without doubt one of the best, if not the best, beer event that I'd been too. 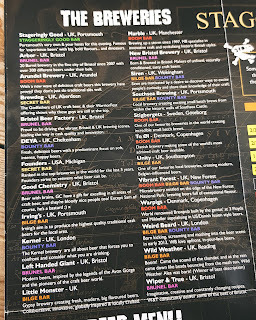 So my concerns were two fold; could the organisers, Staggeringly Good, match (or even top) the previous year and could I show some restraint when faced with a frankly ridiculously good beer list? Well it was a big piratey "Aye" to both questions! 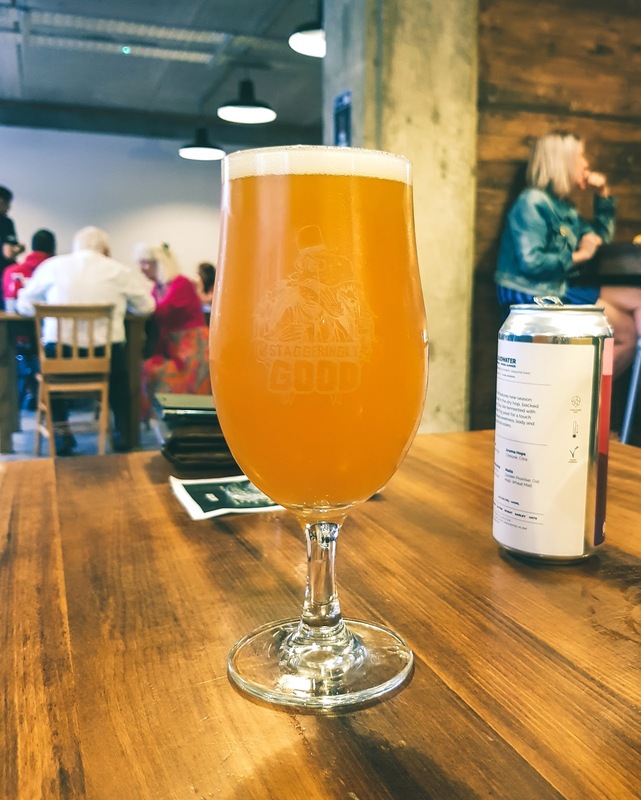 After the success of 2017, Staggeringly Good took the brave but ultimately wise decision to spread the event over two nights, effectively doubling the amount of beer lovers that could enjoy the fun and I understand that both sessions were close to sell outs. But thanks to the strict numbers policy of the dockyard this still meant that there was more than enough room to swing a cat of nine tails and I think the longest I waited at a bar was about five minutes. 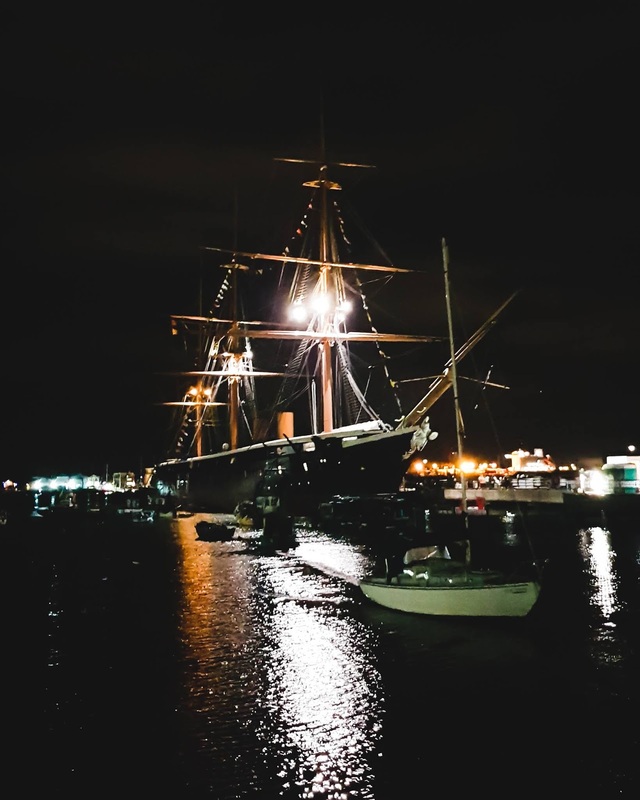 The setting itself is as unique as it comes; HMS Warrior, the first iron hulled armoured battleship, was launched in 1860 and after a wonderful restoration now survives as a museum and private hire venue. 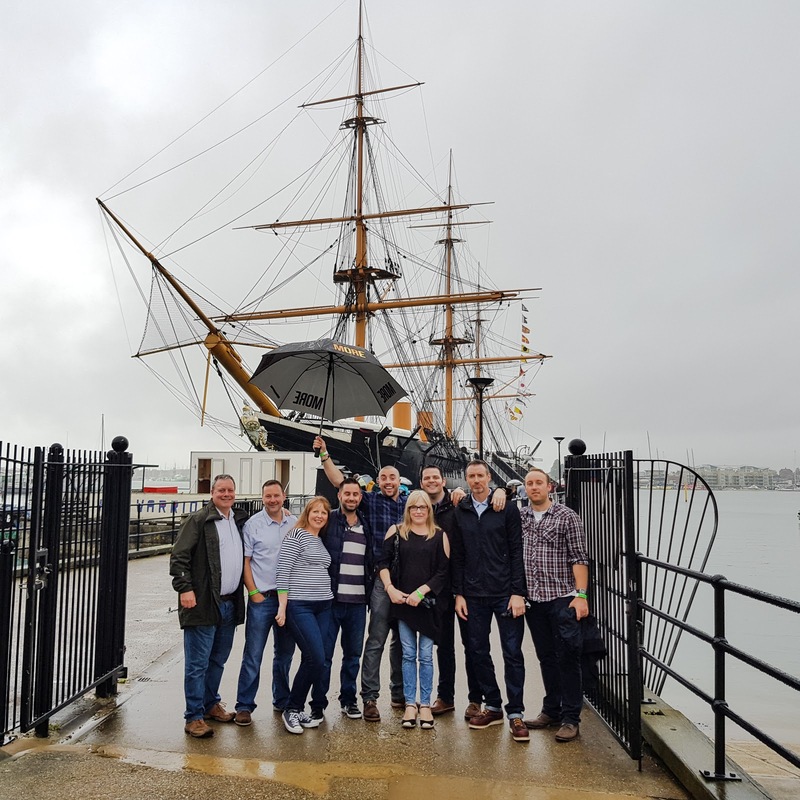 So when boarded by hundreds of beer drinkers the atmosphere, surrounded by cannons, muskets and cannonballs, is unmatched. Music was provided by a number of local acts including Lady and the Dukes, Skaraman and the Bossard String Quartet, although if I'm being honest I was too busy enjoying the beer to really appreciate the bands. 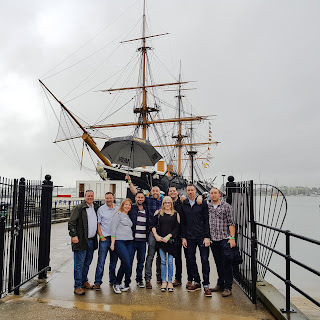 But I was delighted to see the return of the Shanty Buoys who roamed the ship, leading the tables of drinkers in rousing renditions of various historic tunes. Food was provided by Need Street Food who offered a small but very tasty menu of Pirate Pork Dogs and fries, with veggie and vegan options available. 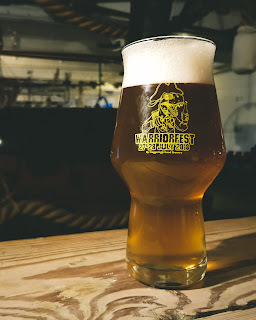 Of course the setting, entertainment and food mean nothing if the beer line up isn't up to scratch but here is where Warriorfest truly excelled. 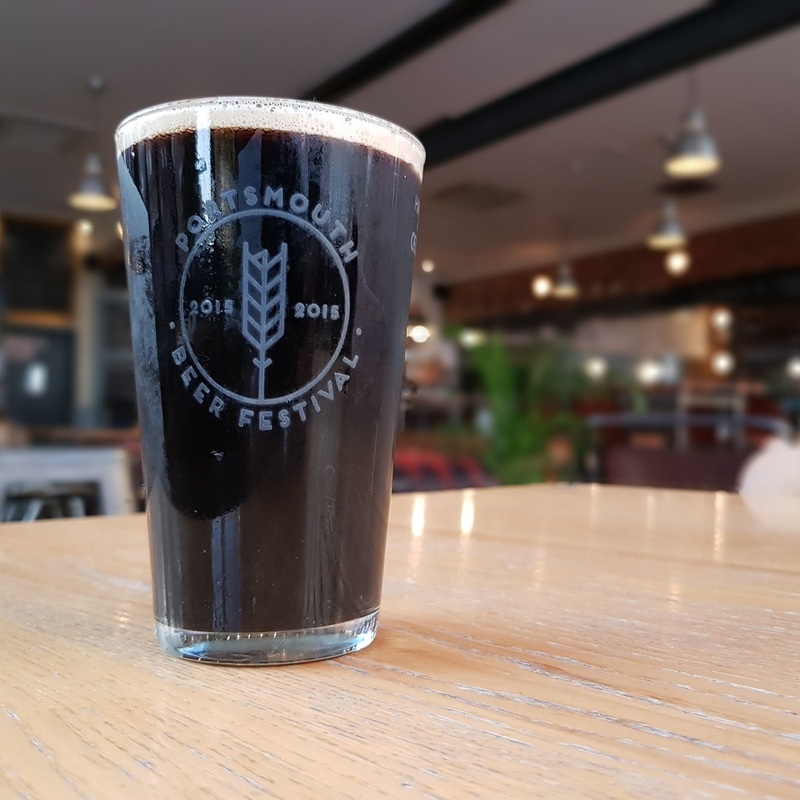 As well as championing local producers like Southsea Brewing, Unity and Vibrant Forest, some of the truly great craft brewers from the UK and beyond were also represented including Deya, Cloudwater and Warpigs to name just a few. 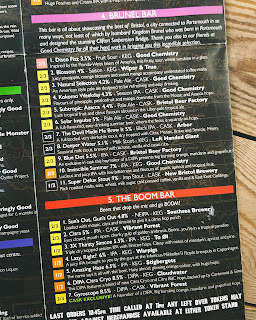 The beer list was so good that even if you missed something that you really set your heart on, there was something just as good for you to pick instead. 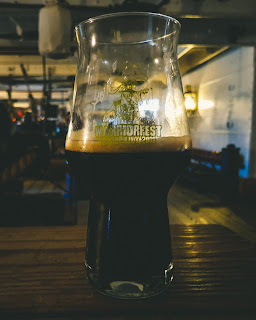 Arundel's "Maple Syrup, Chocolate and Coffee Stout" - I'd been itching to try this ever since it was released, every flavour listed in it's name is present and it was a perfect beer to end the night on. 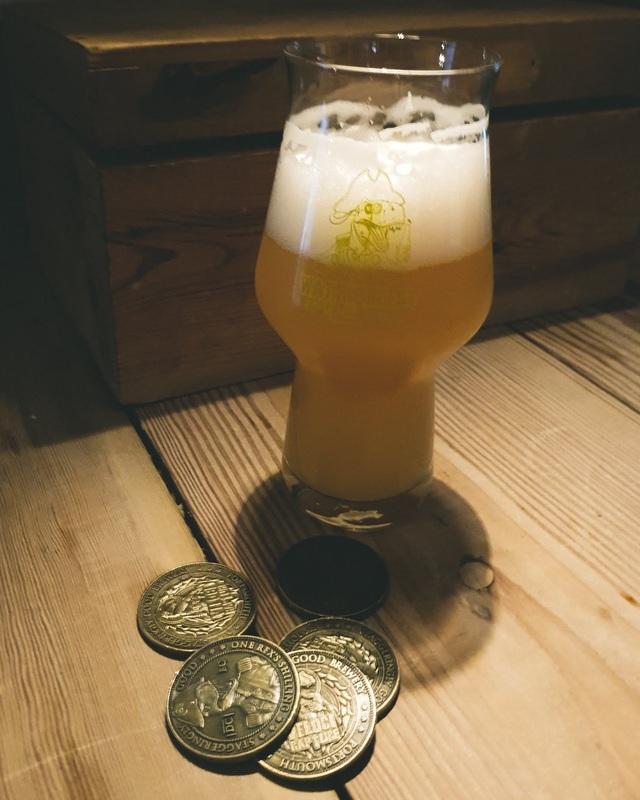 To keep things moving smoother at the bar the currency was token based; with a bag of six tokens costing £20 (working out as £3.33 each) or you could buy them individually for £3.50. 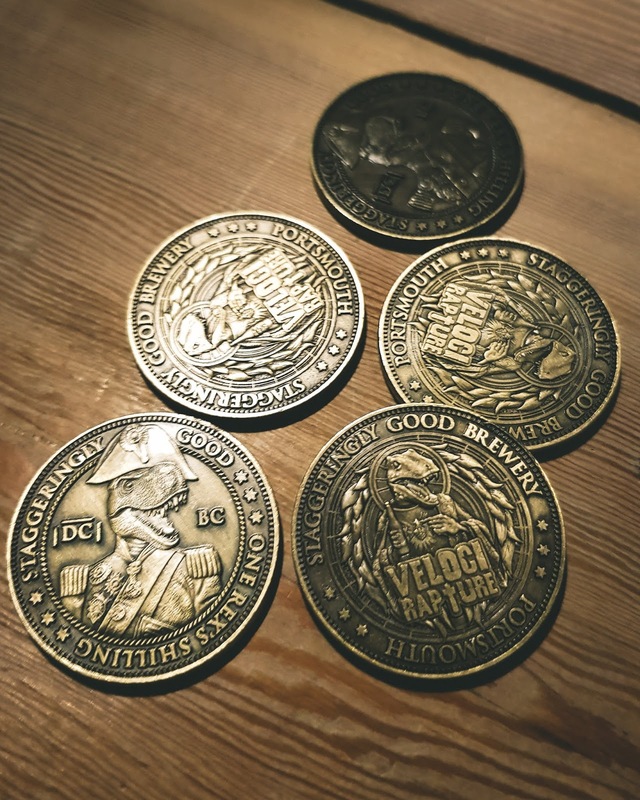 Then depending on the beer a single token would get you a third, half or two thirds. It's a system that worked well and with the staff pouring by eye into your own souvenir glass most of the the pours were on the generous side. I spent less than £30 on the night itself and certainly didn't feel like I went without or that I hadn't got my monies worth. 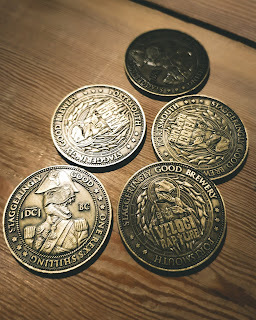 Staggeringly Good didn't scrimp on the details; check out these "beer tokens"
There are still small areas for improvement. For example I had trouble locating any drinking water at the bars I asked at, which would have helped not only to hydrate myself but also to rinse my glass when switching from a heavy imperial stout to a hazy IPA. But this is meant only as feedback and I'm sure these very minor quibbles will get ironed out as the event matures. 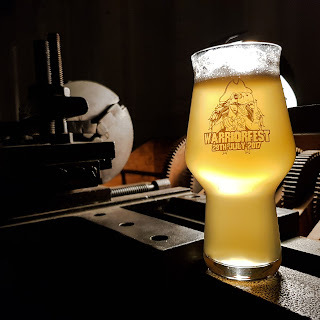 Overall Warriorfest 2018 was a huge success and amazingly an improvement on what was already a cracking event. I've already checked that I have the last weekend of July 2019 free in my diary as I don't want to miss what these guys bring next year. Deya's "Invoice Me The Microphone." I may be a beer writer based at the very bottom end of the UK but that doesn't mean that I don't recognise and appreciate the amazing craft ale being brewed by our friends in the north. 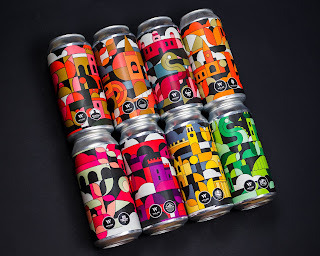 For example Magic Rock are one of the true original trail blazers of the scene, Cloudwater's hazy IPAs and DIPAs are sought after all over the world and there doesn't seem to be a style that Northern Monk can't nail. Which explains why I was so excited when it was announced that Wylam, one of the hottest breweries in the UK, was releasing a series of collaborations inspired by the Great Exhibition of The North. Only 6600 cases were produced and I was able to grab mine from local bottleshop The Beer Musketeer. 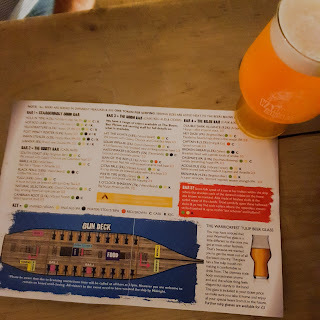 You can read my thoughts on each individual beer below but in summary the quality of across the various styles was of a very high standard. 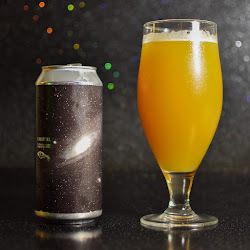 What helps is that compared to the most recent Rainbow Project collaboration releases, none of the beers were too "out there" in style. That's not to say that there wasn't a certain degree of experimentation (American wheat ale with jasmine flowers and orange peel) but there wasn't a can amongst them that wasn't incredibly drinkable. If this becomes an annual project you can be sure I'll grab myself a case next time! It pours glossy black with a caramel head that doesn't hang about and has an aroma of caramel, dark chocolate and digestive biscuit. It has very little carbonation, is not as heavy bodied as I'd hoped but does have a lovely smooth mouth feel. 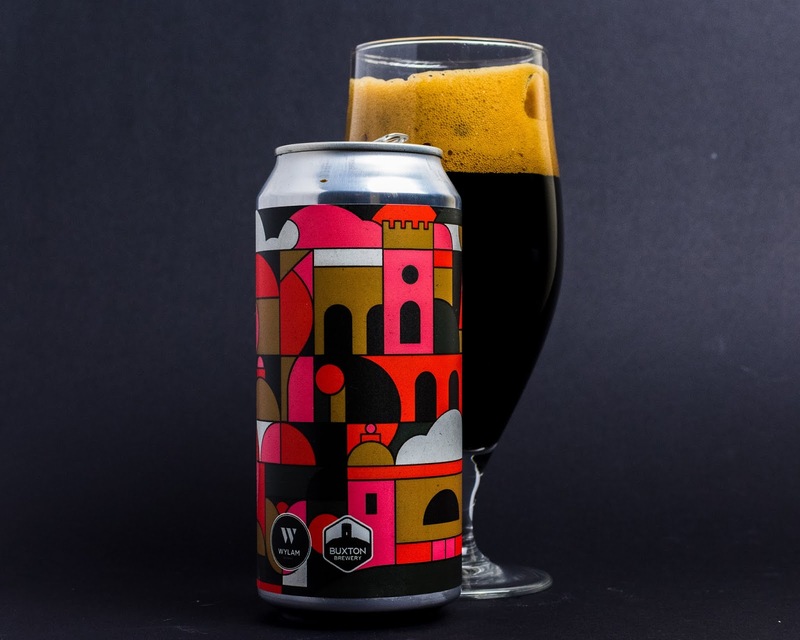 The taste is a heady mix of thick black treacle, cocoa, vanilla cream and digestive biscuit with a warming alcohol finish. This is a typical Buxton stout which if you've ever had one, is all the praise that it needs. It sits in the glass an opaque, almost foreboding, dark brown with a small latte coloured head. The nose is a sweet blend of chocolate and vanilla, which follows through into the taste along with hazelnuts, a slight hint of floral hops and a sweet creamy finish. This takes the a traditional nutty brown ale and drags it into 21st century. This looks stunning; bright cloudy orange with a small white head. Apricot and mango are both strong on the nose, with mango then dominating the flavour with a hint of banana esters on the finish. The mouth feel is smooth, almost creamy, with the whole package feeling like a Saison/New England IPA fusion and I love it. This one pours a straw yellow with a small white head that offers some lacing. The aroma of orange peel is obvious with the delicate perfume of jasmine flower present but not overpowering. 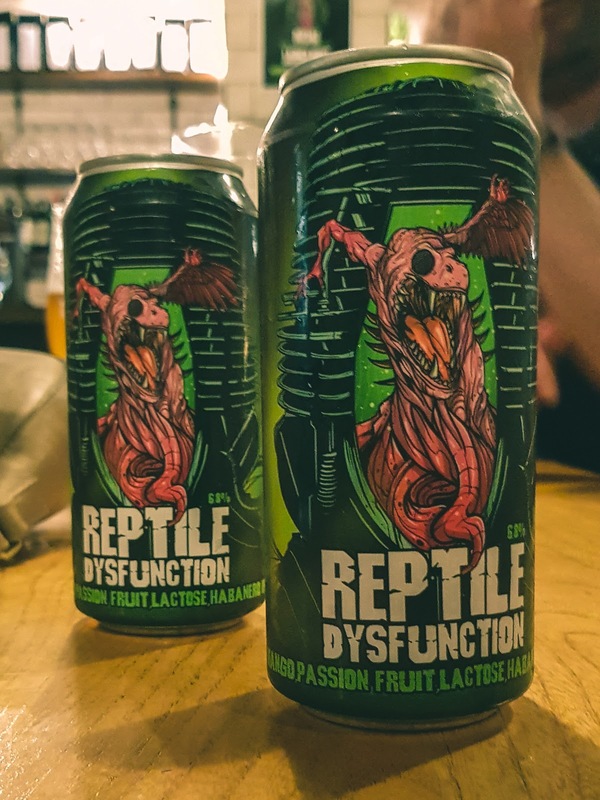 It's well carbonated with light mouth feel and is quite floral upfront on tasting, then pithy citrus bitterness comes strong. At the end there is a perfume like quality that threatens to overpower but is just about kept in check by the orange peel. This is one eye catching beer, pouring a rich vibrant pinky red, with a white head that laces well. 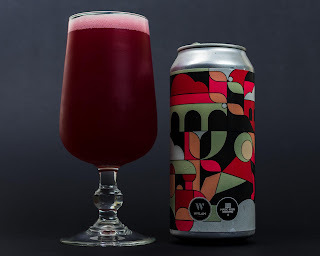 The nose is a wonderful punch of blackberries and raspberries and those fresh forest fruits are front and centre on tasting with a finish which is tart rather than face puckeringly sour. It has a light body with lovely carbonation and is one of the most refreshing beers I've had this year. This is top stuff and one of my favourites out of the box. This has that classic modern pale ale look, hazy sunshine yellow with a tiny white head. 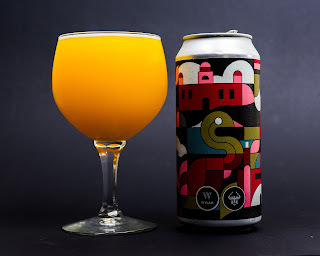 The nose is grapefruit, mango and apricot and the body, whilst not as soft as some I've had, is light with a nice carbonation and a pleasing mouth feel. Stone fruits follow through strongly into the flavour before a pithy drying finish. It's a very solid session pale ale and one that I could happily drink all day. Straight from the can you know that this is going to be good, pouring a hazy creamy yellow with an aroma full of pineapple and mango. It has a creamy, medium body and the taste is ripe juicy mango, a little bit of sticky pine, before a slightly drying finish without any real bitterness. 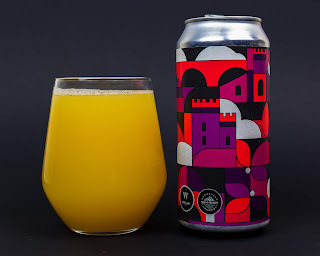 This is a great example of a New England Style IPA. This DIPA pours a pale yellow with a haze that glows when the light hits it. 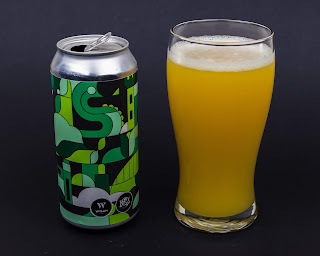 The nose is a refreshing hit of citrus and it's pithy grapefruit that dominates the flavour, with hints of sticky pine before a drying finish with a nice smack of bitterness. It's not got the slightly cloying heavy body of some recent DIPAs and this beer overall is brilliantly executed. 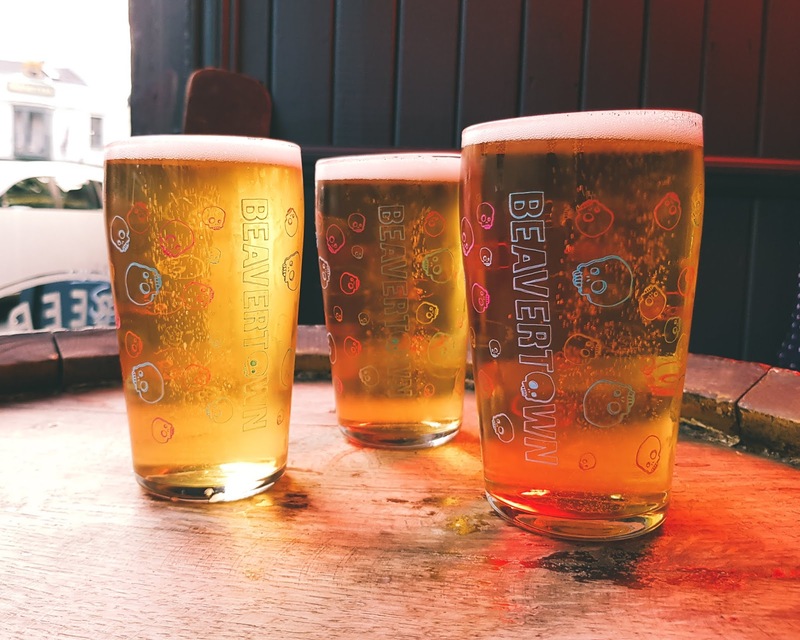 If you follow any craft beer social media accounts you won’t have avoided the reports circulating around the possible ‘big beer’ acquisition of a minority stake into Beavertown, with The Times writing on 26th May that the London based brewery is in talks with industry giant Heineken . 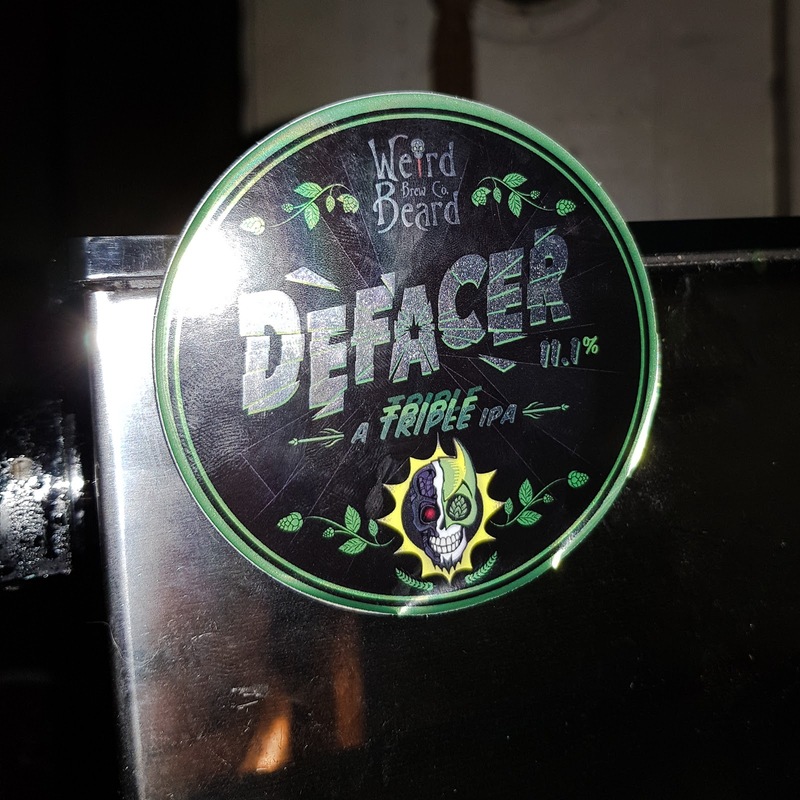 So when I sat drinking a pint of Neck Oil in the Wine Vaults a couple of weeks ago I started considering the vociferous reaction amongst fans of the UK craft beer industry. Was I as mad as everyone else? Well no, I wasn’t, but the news did bring some sadness. 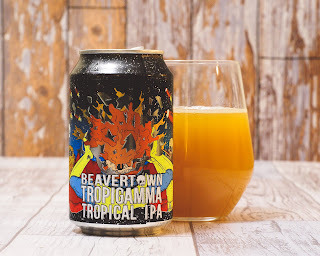 For me, like many others, two core beers from Beavertown (Gamma Ray and Neck Oil) were amongst my first experience of genuine contemporary craft beer. 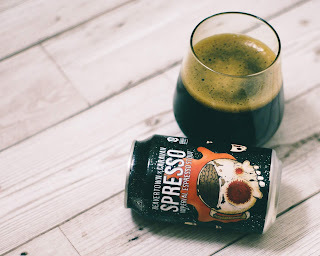 Then, as I explored the wonders of modern brewing, time and again I came back and was impressed by Beavertown beers such as Humuloid and Spresso. 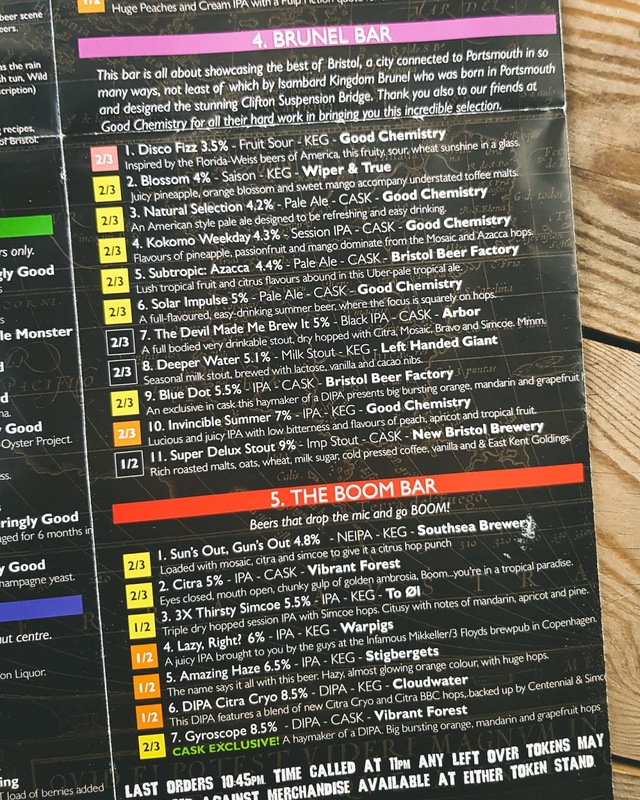 So this is where my hop related heavy heart was coming from; Beavertown for me are one of the originals of British craft brewing, blazing a trail for those that followed. So if they can find themselves succumbing to the pound power of big beer, what hope is there for the rest? Well I don’t think we need to worry too much; you only need to see the shelves in most supermarkets or the number of new craft beer bars and shops opening to see that it is a booming industry. With that there will be the obvious growth and there has to be a place in the market for breweries creating good beer on a large scale. You won’t find many British brewers that can fulfil the purchasing requirements of Tesco so it stands to reason that those with an established brand and customer base will be attractive prospects for an investment which then allows a substantial increase in production. If this investment comes from big beer then it will cause issues for committed fans of craft brewing, not least due to the various horror stories about large beer producers attempting to create hop monopolies (mohopolies?) in certain regions. 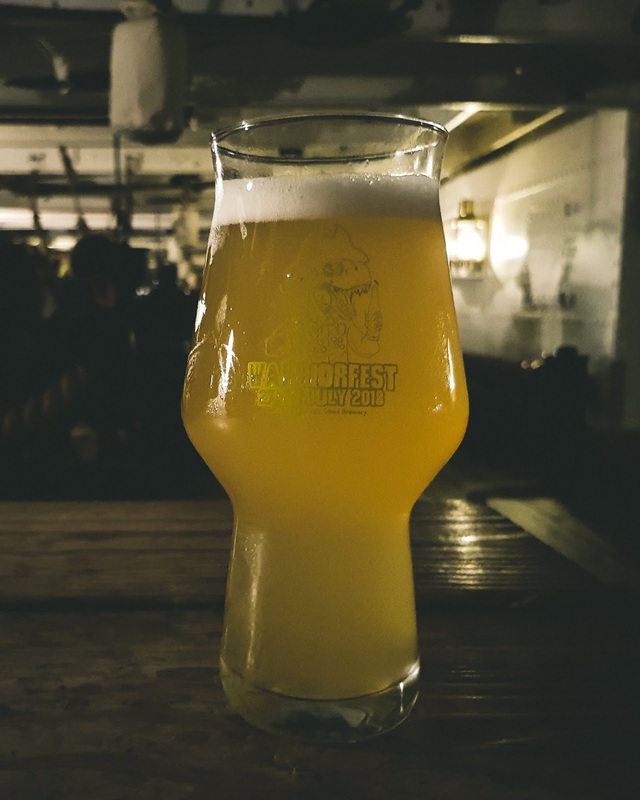 Paste Magazine's report into AB InBev's hop buying practise in South Africa makes for worrying reading and these bullish tactics effectively squeeze the ability of smaller breweries to secure their much needed supplies. This poses a clear risk to the independents. Of course not every craft beer that you find in a high street store or supermarket is only there because of external cash injection from a global super producer or investment company; for every Meantime (owned by Asahi Group Holdings, the seventh largest beer producer in the world and readily stocked in UK supermarkets) you can find a Wild Beer or Wiper and True (both independent but now stocked in Waitrose). But even if a brewery has received a financial investment, if it hasn't come via the deep but morally dubious pockets of a "big beer" is that still a problem? 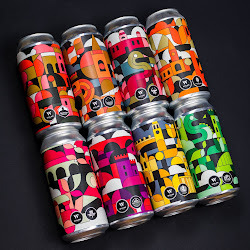 Well I don’t know about you but I really feel for anyone drinking rubbish beer, so if these monetary injections mean that cans of quality craft beer start hitting supermarket shelves I’m actually in support. Whereas supermarket buying powers means that certain beers will become more readily available, I don’t see this as being the death knell for independent bottle shops and bars. I predict that where your casual beer drinker may start opting for craft offerings, this will be at the expense of macro beer already on the supermarket shelves. 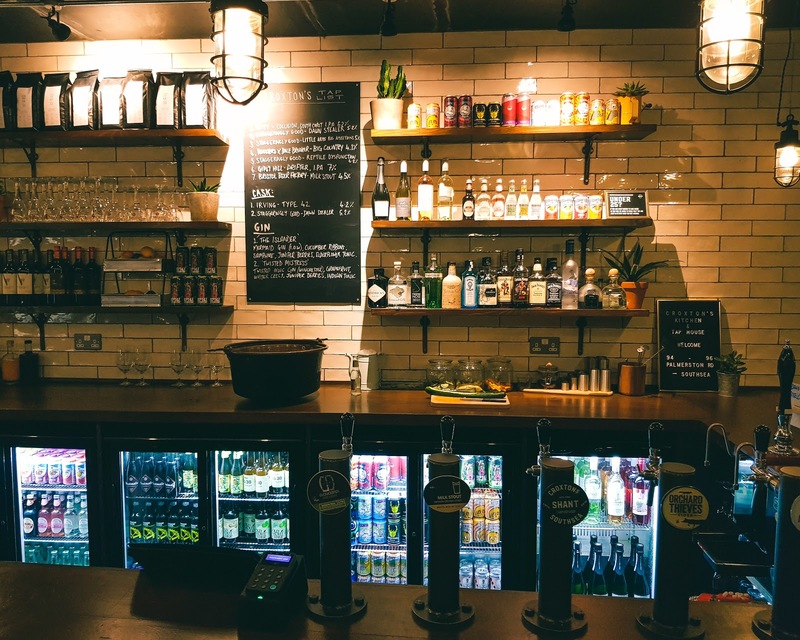 For those us that really appreciate the best of UK craft beer, the specialist retailers (both online and shop based) are sure to remain our preferred outlets. The truly independent breweries that are able to supply the stock levels that larger retailer would need will remain the exception. It is in the discovery and support of the smaller breweries that the craft beer lover really reaps their rewards. Personally I am unlikely to purchase from a brewery that is financially backed by a large super producer but it does not mean that I recoil in horror simply at the thought of small producers achieving the success that the majority of small business owners would bite your hand off for. More importantly for the companies involved, the onward success will be based upon increased market reach and a subsequent growth of customers far exceeding the numbers that may choose to turn away due to the lack of independence and "craft beer-ness." It's simple economics and demonstrates that when we're talking about the likes of Anheuser-Busch InBev, SABMiller and Heineken International, they can clearly afford to lose your custom when they look at the bigger picture. Finally you have to consider what you would do in brewer's beer soaked shoes? 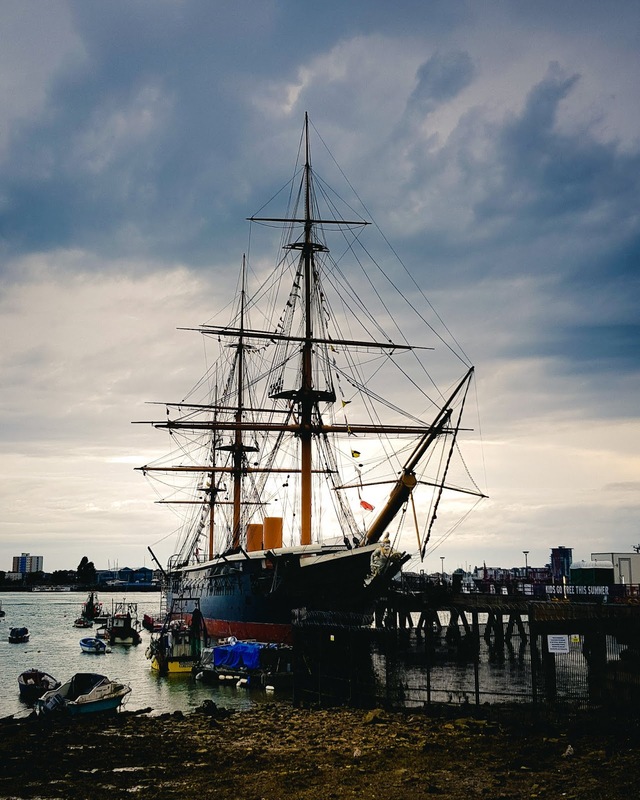 With the inherent difficulties in starting a business, the long hours, the mortgaging (and re-mortgaging) of homes, the pressures on family, can you really begrudge the small producer who welcomes the financial security of serious cash injection. I’m not saying that this is the case for every acquisition but unless you really know the ins and outs of the balance sheet, maybe this is something that needs to be considered before a hard working brewery is labelled as a sell-out. Ultimately you the consumer will vote with your wallets and as long as the true craft beer fans continue to support the independent breweries that we all hold dear, the future should remain bright. 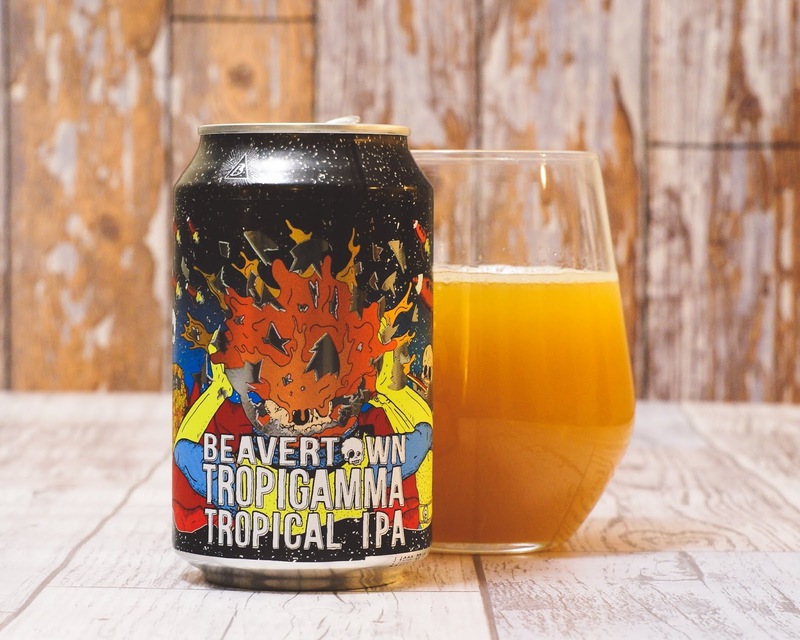 Let me know below how you feel about the reported investment into Beavertown? If it goes through will you stop buying their beer? 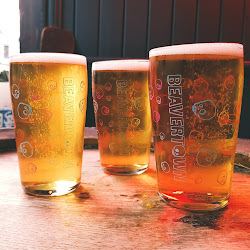 Do you think Beavertown Beers will still find a place in your fridge? 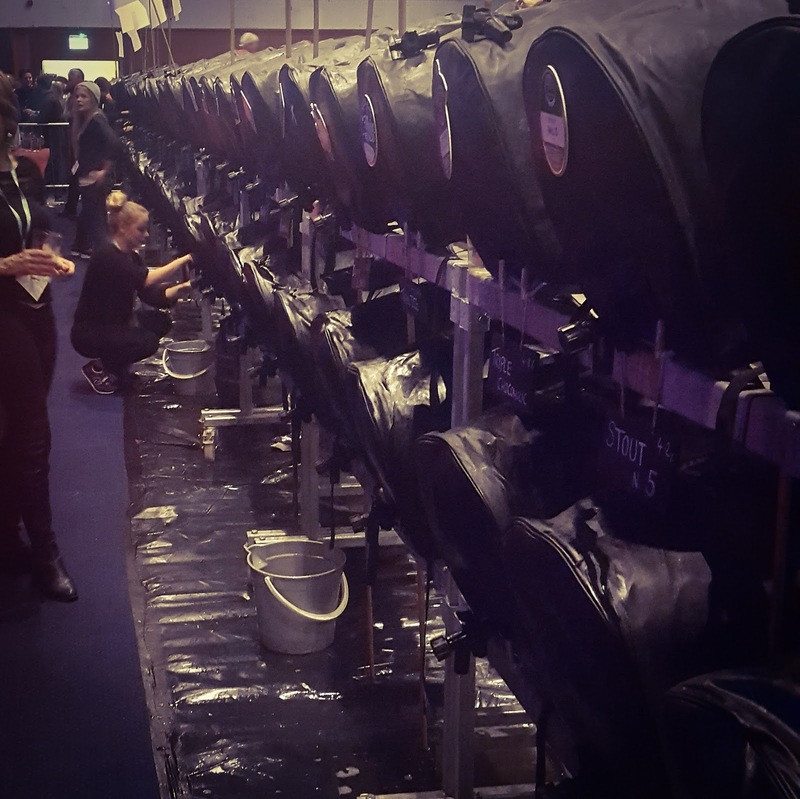 It seems like Beer Festival season has truly arrived! 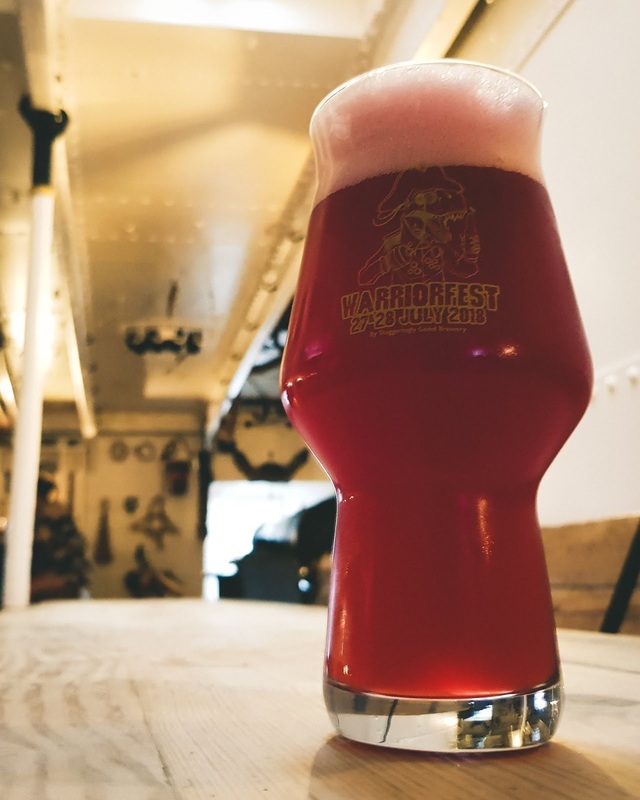 Just within Portsmouth and Southsea alone we've got Beerex, Portsmouth Beer Festival (at Guild Hall) and the second Warriorfest.. And all of that is before the end of July! Now I am almost ashamed to say that in my excitement at Warriorfest last year I may have over indulged slightly, ending the night more than a little wobbly. Now this doesn't mean that I didn't enjoy it and in fact it was the best beer event I've ever been to. 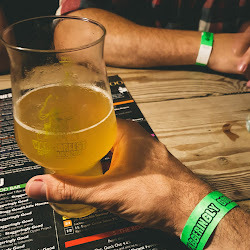 But I've learned some important lessons about how to make the most of your trip to a beer festival as well as ensuring that you don't end up waking up on the morning after feeling as bad as I did! 1) Don’t preload - it can't just be me, but when I go out with friends I don't want it to be just for a few hours. But because I'm getting too old for clubs I'd rather start earlier in the day to ensure that I get maximum social (drinking) time. Now if all you are going to do is sit in a pub and slowly imbibe session strength ales there is nothing wrong with this… if you are heading to a beer festival with the intention of sinking beers in the 7-10% ABV range then drinking before may be foolhardy…. There will be plenty of beer at the festival, you don't need to drink before hand! 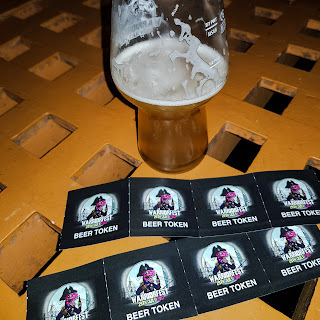 2) Don't over buy your tokens - for those that aren't aware, often beer festivals are token based. On arrival you buy a strip of tokens and then you exchange those tokens at the different bars for beer. Now on a normal night out I have never got to the end of the evening and thought, wow I've got money left in my wallet, I need to spend it now on beer and drink it. But, exchange that money for beer tokens it's a different story…. "argh, if I don't spend these tokens it's a complete waste!" Before you know it I'm rapidly scouring the bars to make sure I've drunk every available drop. That's a recipe for disaster! If you run out of tokens, you can always go back and buy more. You can always buy more beer tokens later! 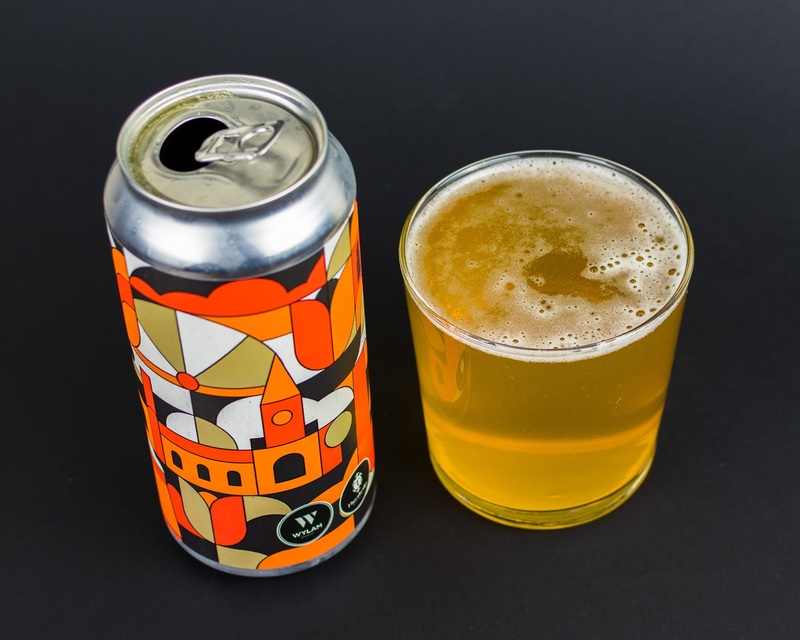 3) Target session beers, especially at the start - when I first became seriously interested in craft beer I discovered the joys of drinks at the upper end of the ABV scale. 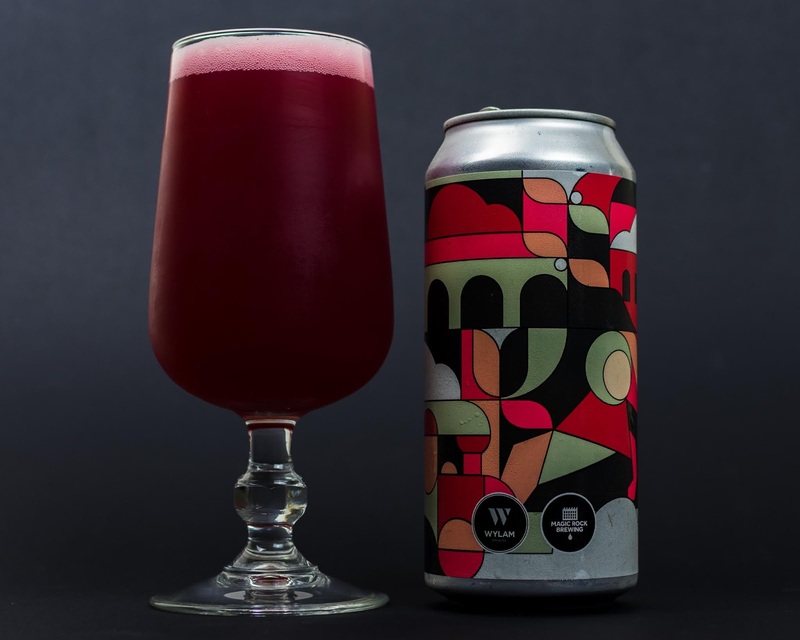 Where in the past 'super strength' beers had only been the tipple of choice for street drinkers, the modern brewer had begun to work wonders with double and triple IPAs as well as imperial stouts and porters. Wowed by amazing beers from the likes of Cloudwater, Buxton and many more, I became trapped in a mind set where I believed beers had to be 7% ABV or higher to pack any flavour in. This is not a healthy approach to have when looking to try as many beers as possible within a five hour festival. Luckily, mainly thanks to an effort to lose some weight, I have become reacquainted with how good lower strength beers can taste and I've had some great stuff in the 3.5 to 5% ABV range over the last few months. So make sure that when you go to your beer festival keep an open mind and learn to appreciate the 'session strength' offerings. It may be the difference between you still being able to see and walk straight when you leave. If you are going to try the triple IPA, maybe stick to just one... and make is a small one! 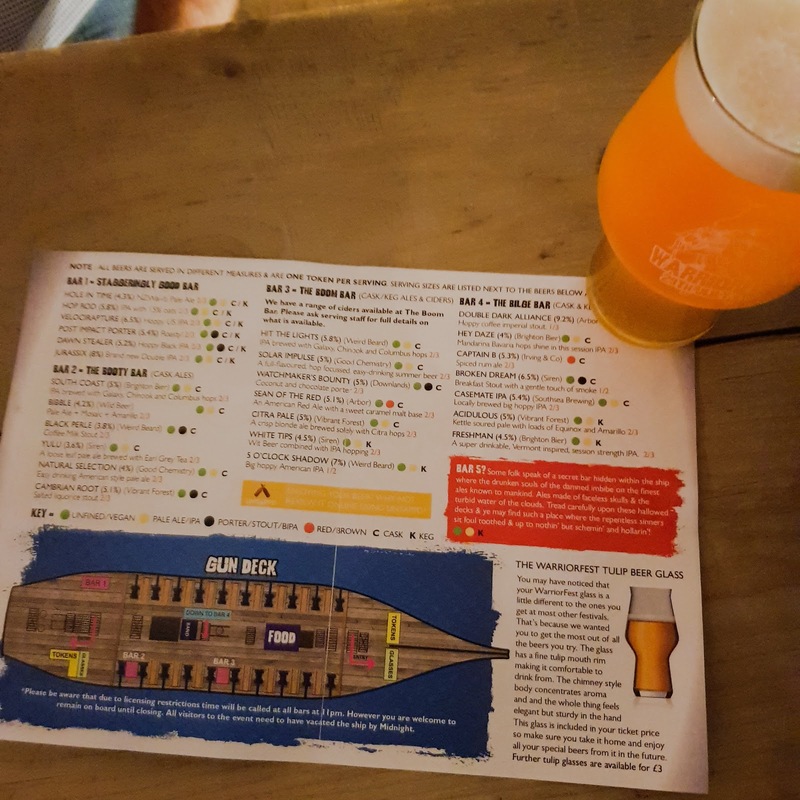 4) Use the beer list - any beer festival worth it's hops will furnish you with a full list of the beers on offer, usually including ABV and often tasting notes as well. 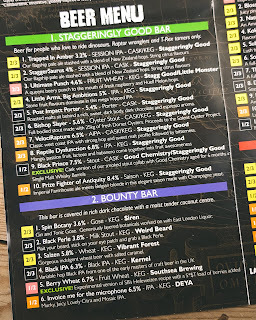 Embrace your inner (and possibly outer) beer nerd, get your pen out and identify which beers you really want to try. This is a tactic I've used before and is useful as I didn't just find myself grabbing any old beer and drinking it quickly just to move onto the next. 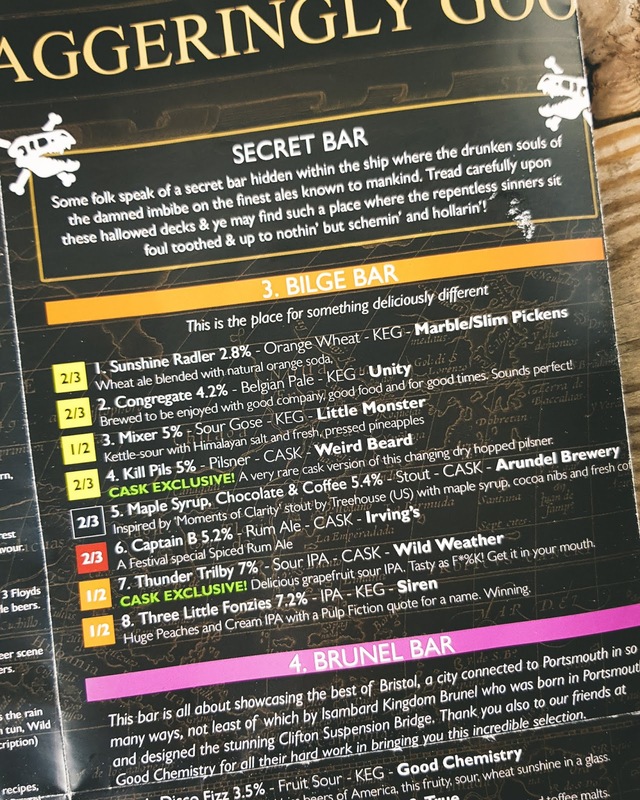 5) If it's an event that covers more that one session, pick one of the first ones - this is particularly important if you're using the beer list as above, because I've been caught out before when going to the last session of a two day beer festival. 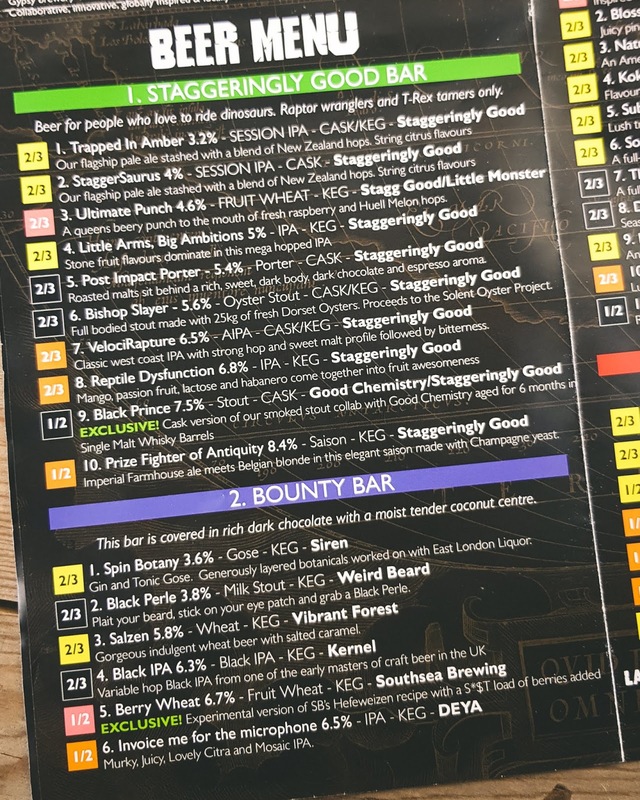 I'd gone through the list whilst queuing to get in, highlighted some key beers that I really wanted to try, only to then discover that they'd already sold out of it in the earlier sessions. 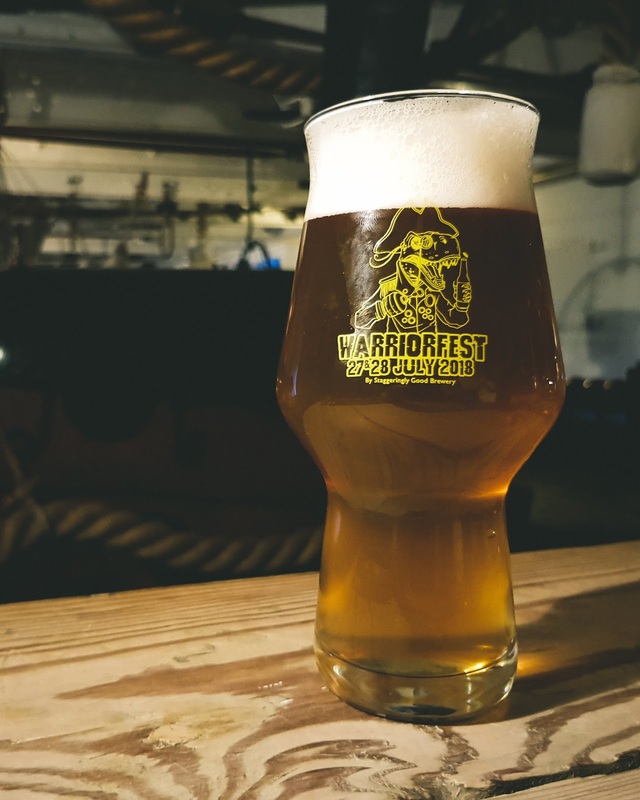 Now this will often come down to how well the breweries and event orgnaisers have planned, at often they will make efforts to keep some stock back for the later sessions but this is not guaranteed. So if you've got the chance, always opt for an earlier session if you don't want to risk missing out. 6) Eat - This is a multi pronged attack! One, you want to eat before "getting on it." This isn't ground breaking advice. 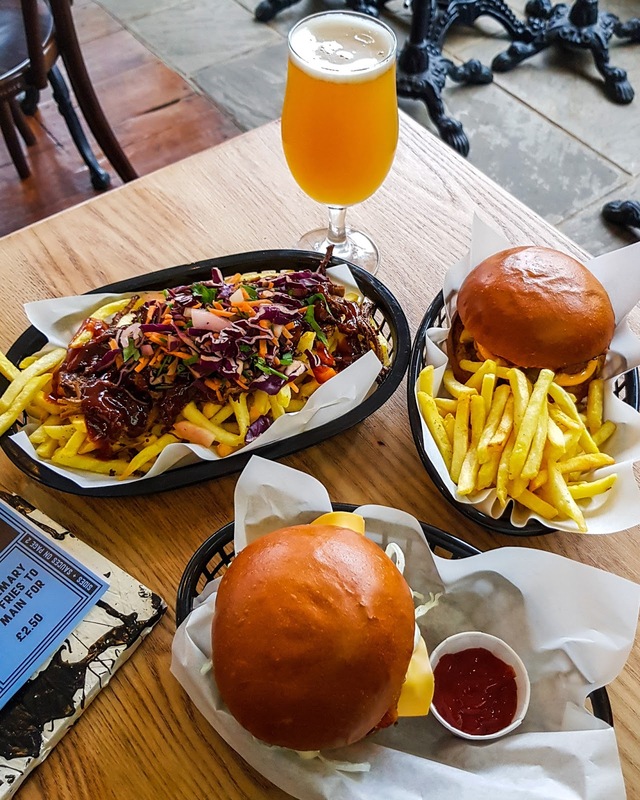 But beer festivals, especially craft beer festivals, often take great care when picking their vendors and you'll often get the chance to try some amazing food. I know one friend in particular who still talks very fondly about "the best pie he ever had" at a Southsea Beerex a few years ago. 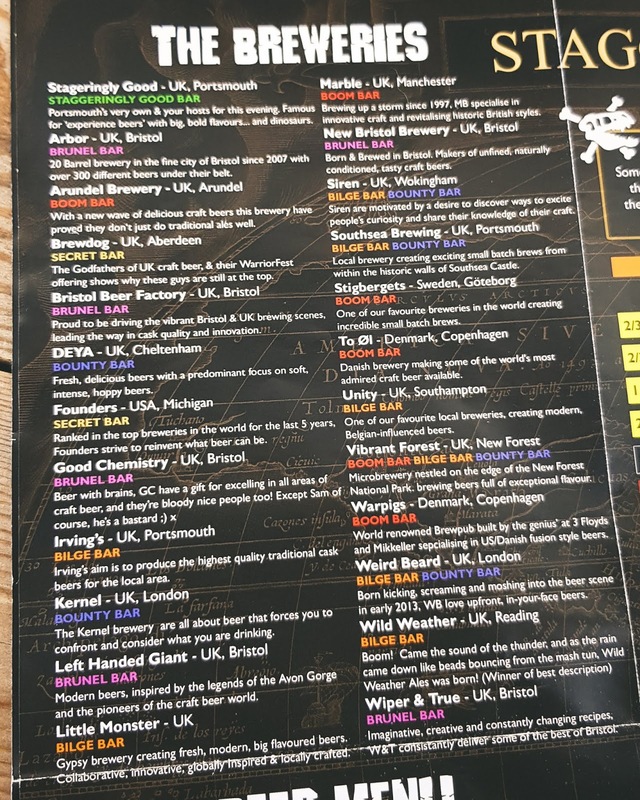 So see who's selling what, maybe experiment with some beer and food pairings that you wouldn't normally try and whilst you're at it, soak up some of that alcohol. Your tomorrow self will thank you for it. Eat... before, during and after... just eat! 7) Plan your escape route - if you're lucky enough to live local to some great beer festivals you can just don your beer coat and walk home. But if not, you run the risk of being part of that group of several hundred drunk people all looking for a taxi at the same time. Now if you've paced yourself (see point 3) you my be able to ignore the taxi battle royale by heading for the nearest pub and carrying the night on? Or maybe now is the time to get some sustenance on board and head for a late night dinner. I cannot stress enough though, if you think you'll be ready for bed when the festival finishes, pre book your taxi or lift home… it could make a massive difference to what time that spinning head hits the pillow. Make sure you leave looking as well as when you arrived! 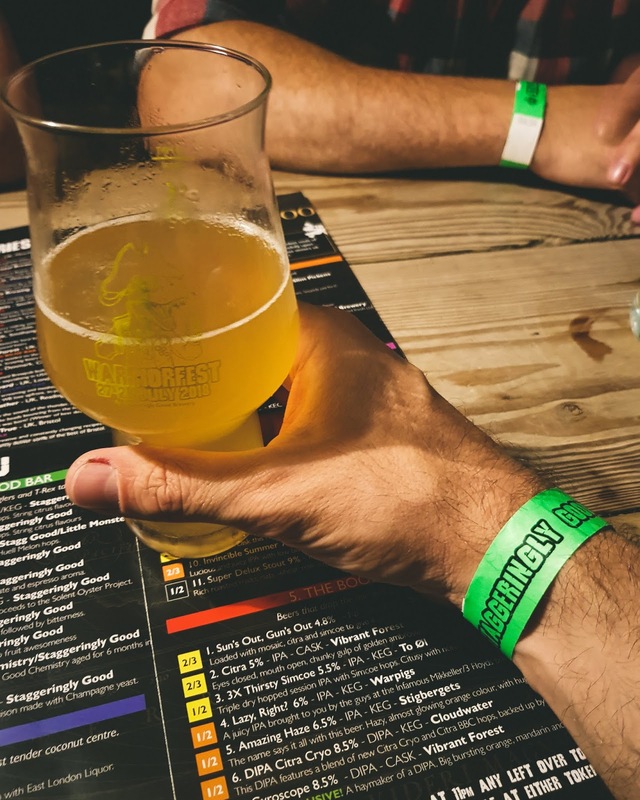 So these are my tips to survive and thrive at a beer festival? Have I missed anything? Let me know in the comments below. 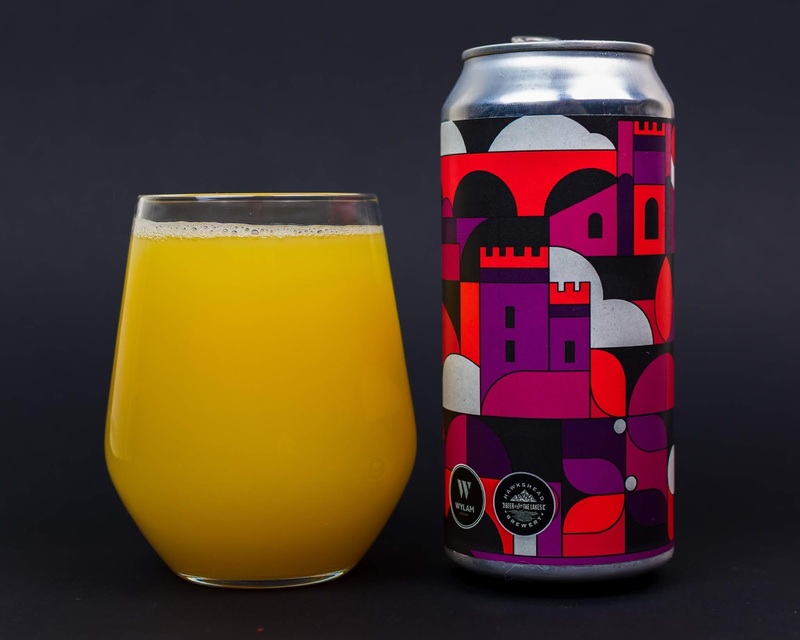 I can't even deny it; when I saw that Staggeringly Good's new release was a Mango, Passion Fruit, Lactose and Habanero IPA I was both excited but a little apprehensive. 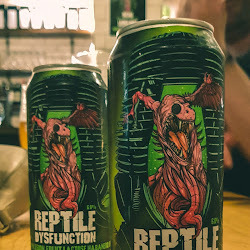 I love fruity IPAs but I don't have a great appreciation for chilli infused beer. 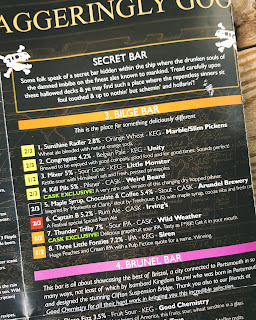 However I wasn't going to let that stop me wanting to try it as soon as possible so popped along to Croxton's for the launch event on Wednesday 23rd May. 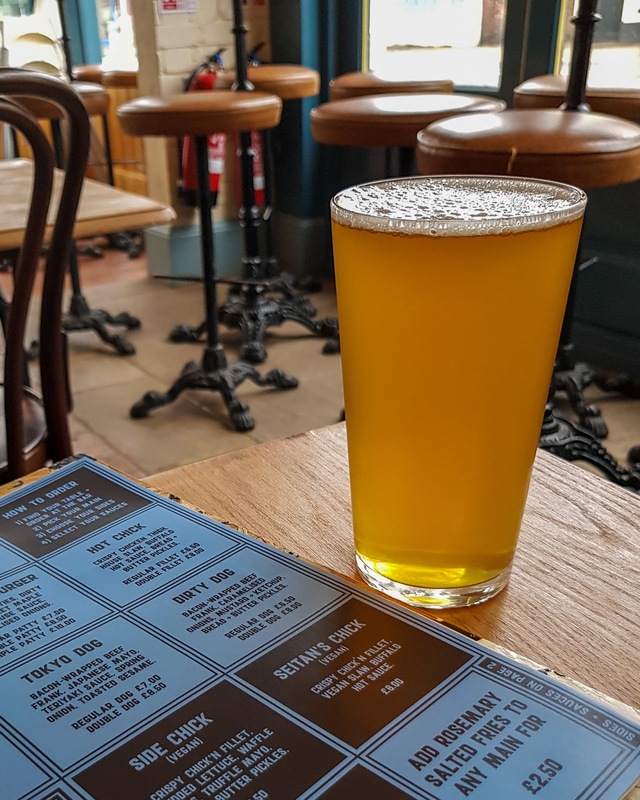 If you haven't been to Croxton's yet, it's the latest addition to the Southsea craft beer scene and you'll find it on Palmerston Road in what used to be the old Co-op and Post Office. 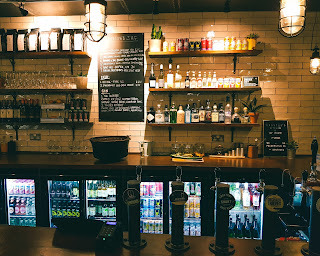 The refurbishment has been completed to a brilliant standard and its unrecognisable from it's previous form. This the third time that I'd been to Croxton's and it continues to impress me. With seven keg lines, two cask lines and fridges full of craft and more traditional offerings, I've already enjoyed top beers from Wylam, Cloudwater, Unity and more in my few visits. I used this launch night as a chance to finally try their food, opting for the burger which comes with fries for £10.95. The two 3 oz patties were grilled beautifully, the emmental cheese was a nice touch and the fries were really good. All in all, a very good feed. I also got the chance to try some of the Buffalo Cauliflower Tacos and after seeing the buzz for these on social media I can confirm that they are easily as good as people have been saying. So what about this new beer from Staggeringly Good? Well I had no need to worry! 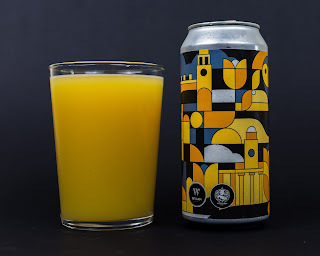 I don't know how much mango they used when brewing it but wow it bursts through like a pint glass of breakfast juice. The passion fruit is there as well and the chilli, whilst used very delicately, just helps to balance out the beer and stop it being too sweet. I had two pints from the kegs (which sold out long before the night was over!) and not only did it taste great but it looked stunning. I can't wait to try it from the cans that I had grabbed as takeaways to see if they differ much. 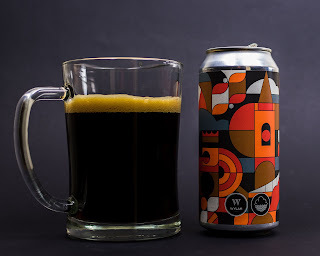 I can't praise this beer enough and it is another stunning example of the consistently high quality brewing that Staggeringly Good have been turning out in recent times. 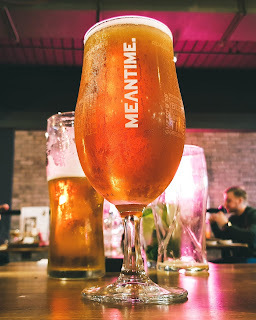 It may have only been open for two months but The Merchant House has already established itself as a worthy new addition to the Southsea craft beer scene. 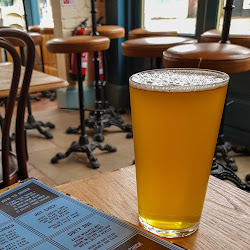 A fully independent free house, I was impressed with the beer selection when I first visited during the opening week but now that there's food on offer I figured it was an ideal time to pop along, sample a dish or two and then put my thoughts into a blog post. 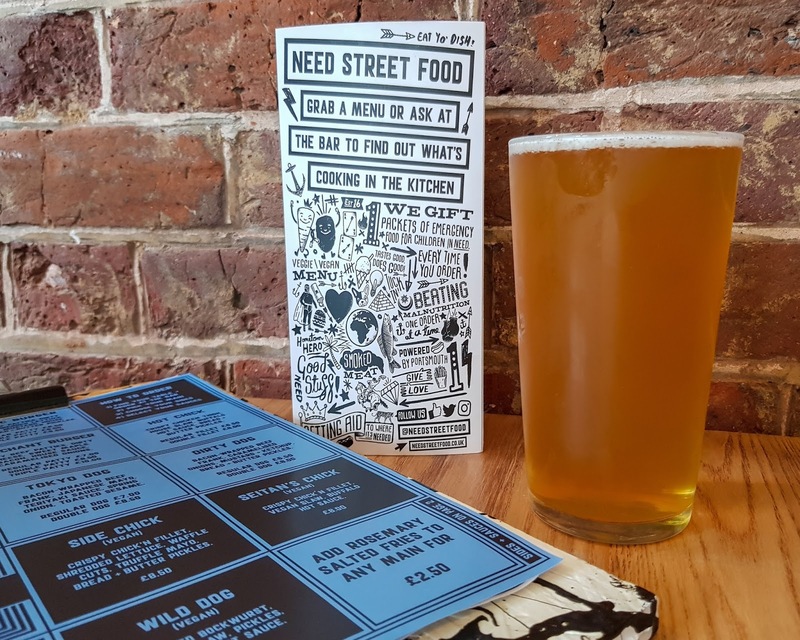 The food in question is provided by Need Street Food who have taken up residency in the Merchant House kitchen. Having already built a solid reputation as Feed Hot Dog Co. they have now branched out and provide a full street food menu with the added bonus that for every meal they sell they fund life saving food for children across the globe. For those that haven't yet found their way to the Merchant House, it is on Highland Road in what used to be the Ice Bar, although you'd struggle to recognise it thanks to the amazing refurbishment. It's now a lovely blend of wood and bare brickwork which whilst far from chintzy, still manages to be very welcoming and cosy especially when busy. There's also a sizeable downstairs area which provides more tables and seating. 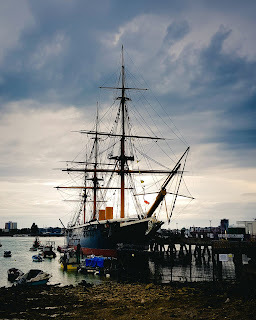 When I visited (along with my good lady, Vicky) it was around 4.30pm on a Monday afternoon and there were only a handful of other people in, so we were able to purloin a table near the front with a view of the comings and going of a weekday Southsea. With the kitchen not opening until 5pm I did what any sensible person would and picked myself a beer to whet my appetite, plumping for a pint of Buxton Brewery's Myrcia. This Oatmeal IPA is a stunning beer to look at, especially when delivered by keg, and at only 4% ABV but with a lovely balanced flavour it's a great session ale. The Need Street Food menu offers a great selection and narrowing my choice was difficult. I was tempted by the Merchant Burger (when am I ever not tempted by a burger?) as well as the Hanoi Hangover Fries (which seem to have already created their own following on social media). 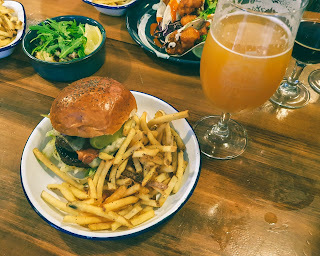 But in the end I went for the Benny Burger (crispy chicken thigh, shredded lettuce, maple bacon, dirty cheese, garlic truffle mayo; £7.00) and Burnt End Fries (£7.00), with a schooner of Wild Weather's Pirate Captain Jester IPA to wash it all down. Vicky went for the combo option of Merchant Burger with Rosemary Fries for £9.50. When the food arrived the first thing that struck me was the portion size, especially the Burnt End Fries. Some people may baulk at paying £7.00 for a side to go with a burger but having seen the quantity these are clearly designed for either sharing as a side or enjoying as a meal on their own. Of course any discussion around value for money is a little pointless if the meal isn't worth eating, but with Need Street Food I can happily report that this definitely isn't the case. The chicken thigh in my burger was juicy but with a lovely crisp coating and the Burnt End Fries were a delight, especially the bourbon barbecue sauce that they were topped in. 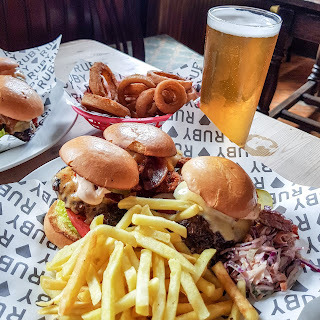 I did sneak a little taste of Vicky's burger and that was delicious although I'd have to sample a whole one myself before deciding where to place it in my hard fought list of favourite Southsea burgers.... watch this space! So my overall impression of the Merchant House? Well as a craft beer lover it ticks pretty much all of the boxes on my wish list, with a varied and regularly changing beer list (keg, cask, bottle and can), a quality selection of spirits, a relaxed atmosphere with plenty of seating and now a kitchen pumping out tasty food. In a town like Southsea that has really embraced the modern craft beer scene, I can't see the Merchant House, including Need Street Food, being anything but a huge success.